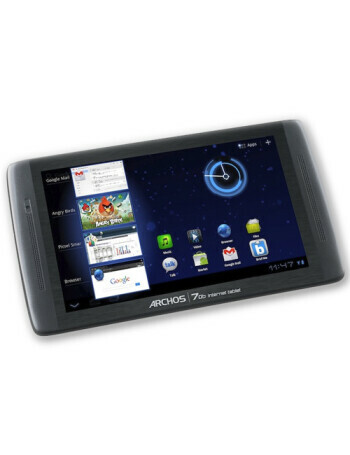 ARCHOS 70b Internet Tablet is essentially an enhanced version of the Archos 70 IT Gen 8. It is being billed as the first Android 3.2 Honeycomb tablet under $200. For the money, its hardware specs seems reasonable enough to appease basic users with its higher resolution 7” 1024 x 600 capacitive display, 1.2GHz processor, 512MB of RAM, Wi-Fi, 3D Graphics accelerator, microSD card slot, and HDMI output.